Manetho (3rd century B.C.) - Manetho was the great Egyptian historian (often called the father of Egyptian history) and priest of the Ptolemaic Empire. Almost nothing is known about his life, and his writings survive only in fragments and references from other ancient authors. 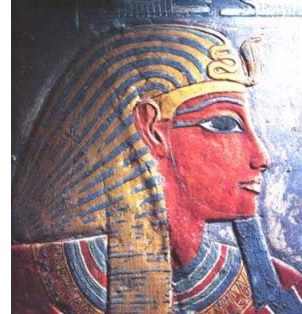 But his work is so influential that our entire structure of Egyptian history is based upon it. It is he who gave the Hyksos their name, and he who separated the pharaohs into dynasties. His Aegyptiaca was a three volume work commissioned by Ptolemy II Philidelphus (yet another achievement under his reign) which traced Egypt's history from Menes up to his own time. The earliest reference to his work comes from Josephus (in Against Apion) who quotes several passages in order to demonstrate the antiquity of his own people, the Jews. Josephus notes that his position as priest gave him access to temple records, and his ability to interpret ancient Egyptian made his work possible. But it was written in Greek, the language of the Ptolemaic Kingdom. The Aegyptiaca was considered the definitive work on Egyptian history until the Rosetta Stone was deciphered (see Rosetta Stone found), cracking the code of Hieroglyphics and allowing Egyptologists to translate the ancient language for themselves. Since then, several discrepancies have been discovered between Manetho's work and the Egyptian runes. Nonetheless, it remains valuable guide to Egyptian history even to this day.